Congratulations on your second place!! I love your choice of celebratory cake, Black Forset gateuxs are amazing, especially at this time of year! The cake pan looks great too - love the idea of the silicone - cake leaks are so annoying so great to find a solution! 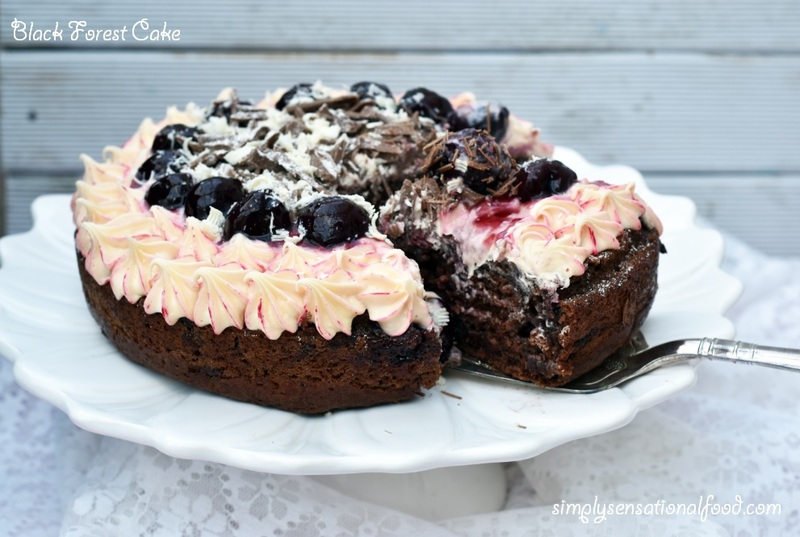 That looks amazing and could easily be made vegan by whipping coconut cream instead of cream. Excellent! Congrats on coming second that's an amazing accomplishment. Congratulations! 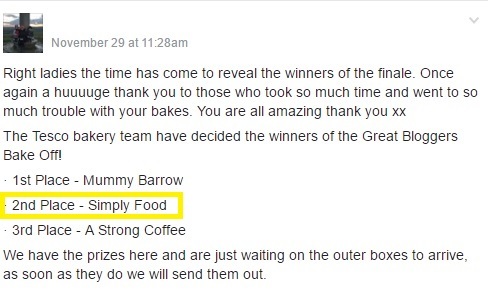 Although I would have definitely given you first place myself with all the delicious bakes you post on here! Now if you'll excuse me, I'm off to rummage through my cupboard to see if I can make this tomorrow! Ha! Congratulation! I bet you had a lot of fun taking part in the challenge. Shame I've missed it. I love baking. 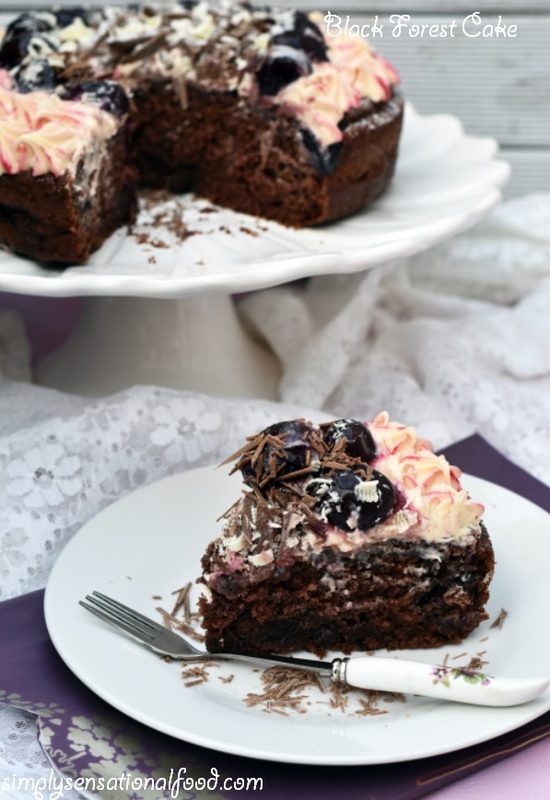 This eggless black forest looks exactly like what the doctor ordered. It looks heavenly! Well done on coming second!! I love that this is eggless, I'm going to try and make this myself! 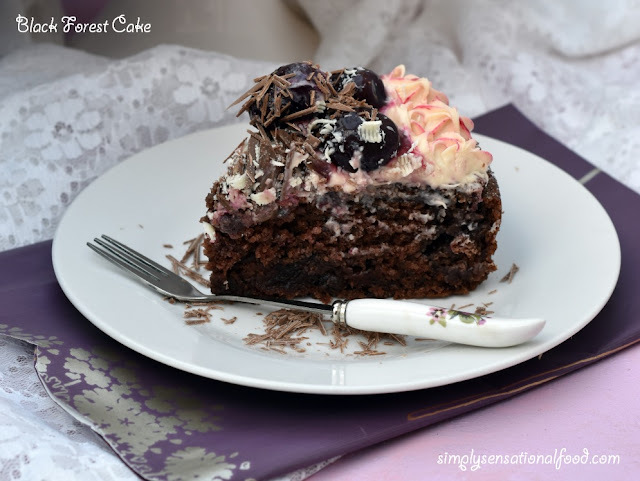 Oh I love Black Forest flavours and this eggless version looks superb - so easy to veganise. That cake tin looks excellent, mine are always leaking! And big congrats on coming second - what an honour and well deserved! This cake looks really delicious. Would love to try it. I have about 4 baking tins, smallish ones. Looks delicious! 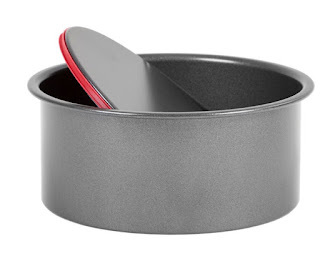 I have 3 cake baking tins - one small, medium and large! i have about eight tins but never seem to have the size i am looking for!!! I have two springform pans, 8" & 6", and two loose base pans, 8" & 10". Not sure, but quite a few. I only have 2 baking tins,just starting out baking. That looks really, really good. I had a kitchen cull recently and got rid of all my old battered tins that weren't non-stick any more. I've still got half a dozen though! Wow this looks so gorgeous - my partner's favourite flavours so I'll be trying it out! i've lost count with how many tins i have! I have a lovely cupcake tin and 2 very old round cake tins. This looks and sounds so amazing! Definitely one I need to try! Oh funny, I've just asked my partner, and she counted them last week. No reason. And 14 in different shapes and sizes. Congrats on second place! I have i believe two cake tins, they're different size and super sticky which makes them a little pointless when i want to bake a sponge! I currently only have the one so everything I make from a sponge cake to a sheperds pie comes in the shape of a loaf tin! I only have 1 baking tray at the moment! I had one but unfortunately lost the base! Only about two as we're currently moving and have had to de-clutter! I've got about four or five, but they are all very very old! wow your cake looks fab! I've got too many tins of different types to count but this one looks like a nice deep cake tin which i don't have one quite like this. I have 3 currently. But they are all getting a bit rusty. I have got about 10 but they are old and I have had most of them for over 45 years! I currently only have 1.